Life’s too short to not get wild every once in a while! 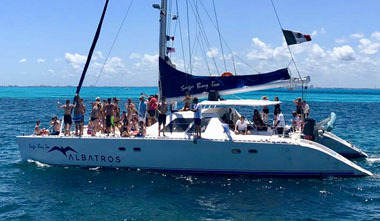 With our selection of Cancun boat cruises, there is something for everyone. 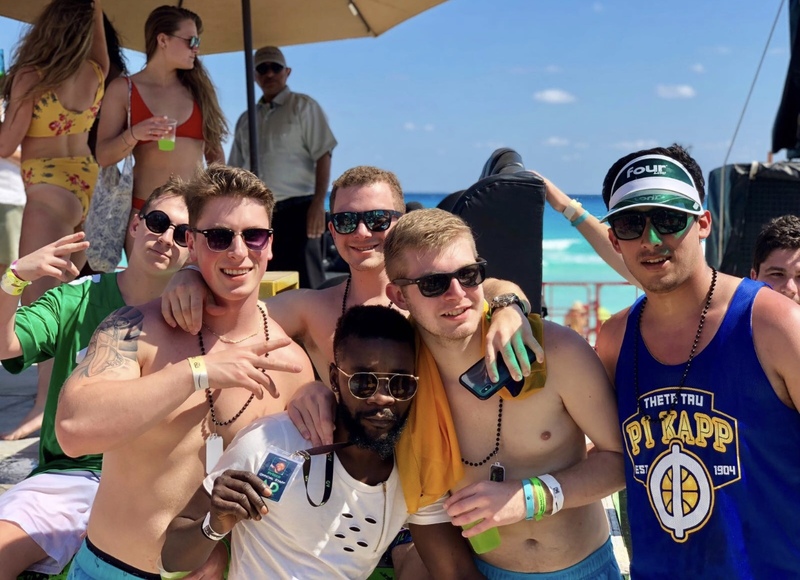 Whether you want to party all night on your way to a private island, snorkel in the turquoise water, or set up a bachelor / bachelorette party on a private luxury yacht, we have you covered. 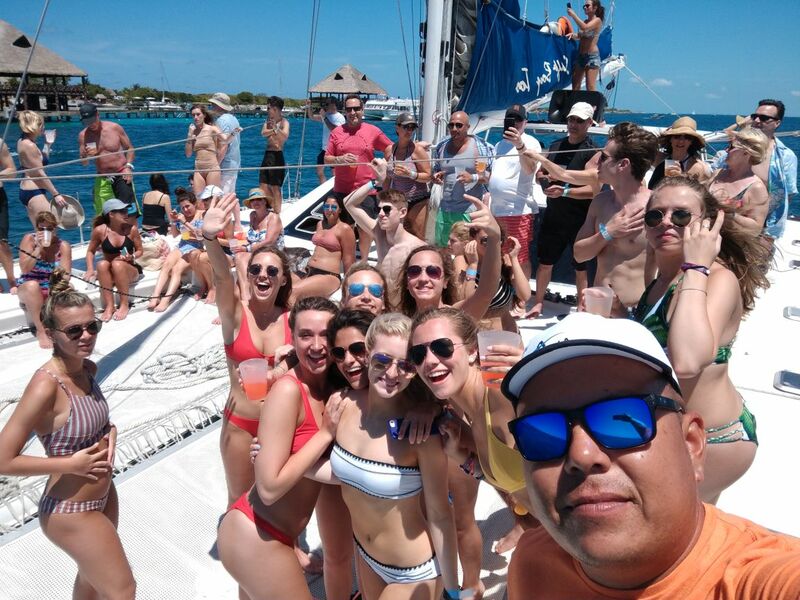 Our boat parties are some of the most popular excursions that Cancun has to offer! Don’t Let This Sail By! 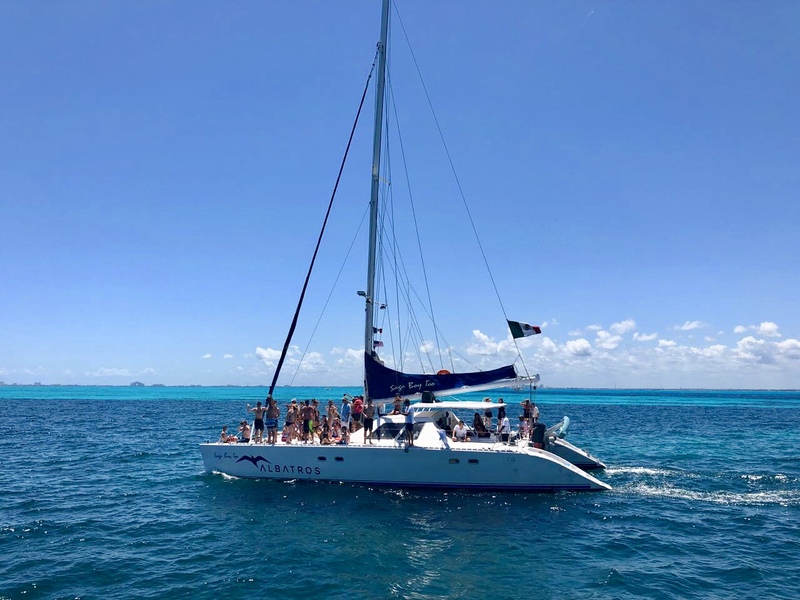 These types of catamarans are also available for private rental. 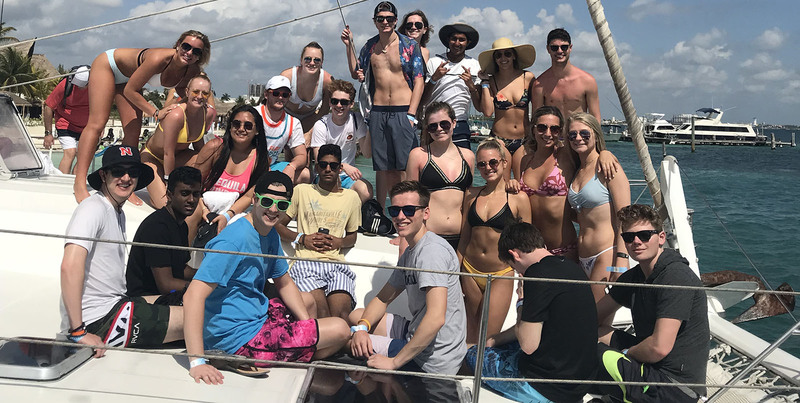 Price varies depending on the size of your group, boat size, and duration of your desired trip. Inquire with an After Dark representative for more details. 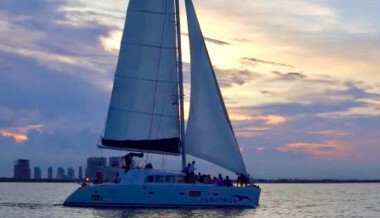 NOTE: Must have a minimum of 13 guests to qualify for this price for a private catamaran rental. Inquire with us for more details if your group size is smaller. Contact us with any questions. 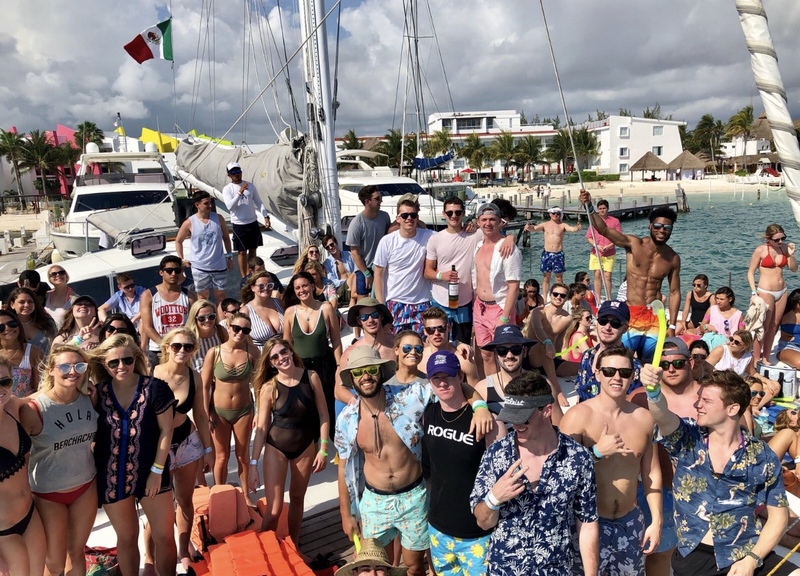 Our Private Luxury Yacht Cruise is a chartered VIP yacht rented out to solely your group and anyone you choose to invite with you. 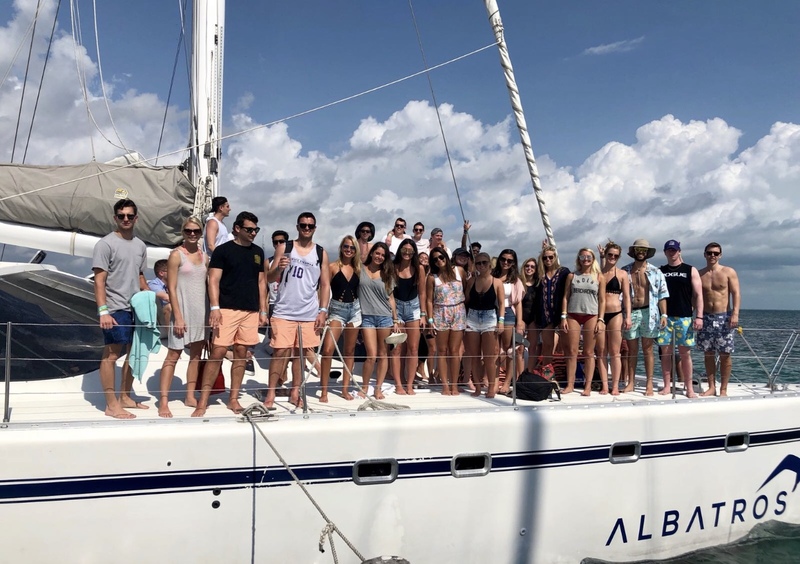 Our specialty yacht holds up to 16 people and has the most equipped sound system on the water! The great thing about this is you have the boat completely to yourselves, with a private captain and waiter to serve you, and you get to choose what time you’d like to depart. Once you set sail, the boat is yours for a full 6 hours! NOTE: Alcohol isnt included but you can bring as much as you want on board with you! 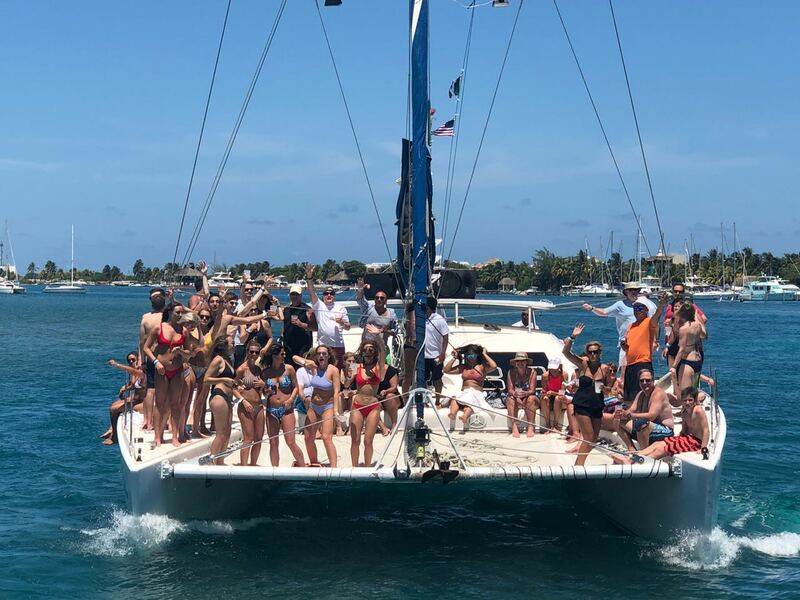 Drinks and music aboard the catamaran on your way to and from the island. Dinner with a large variety of savory gourmet food complete with dessert. A saxophone player to play live while you eat dinner on the island. A DJ provided to your group for after dinner dancing and entertainment. A fire performance as an after-dinner show. Open bar throughout the event, with wine served at dinner. Note: Must have at least 25 people in your group in order to qualify for this private event. Inquire with us for more details if your group size is smaller. Contact us with any questions. Don't Let This Sail By!